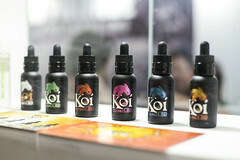 SEOUL – E-cigarettes and other cessation devices may soon be taxed the same as cigarettes in Korea. The government of South Korea is mulling a change in tax legislation which could see a significant spike in the price of-cigarettes. In November this year, lawmakers are expected to vote on a bill to enact a 90 percent tax on the sale of e-cigarettes and heat-not-burn cigarettes. The tax will roughly match the tax treatment of regular cigarettes and tobacco products. If the measure is approved, it could come into effect as early as December this year. E-cigarettes have proved to be highly popular in South Korea, with imports of e-liquids rising from 12 tons in 2015 to 61 tons in the first eight months of 2017. Some industry experts noted that over the last few years, the government has encouraged smokers to switch to healthier alternatives such as e-cigarettes, however, this new move seems like a departure from the previous health-conscious approach.